Your job is challenging yet rewarding. And you love your job. Continuous sitting in front of our computer beating the deadlines may pose a risk on our health condition. The set up may also cause us to gain weight and before we realize it, we have added more kilograms to our weight. Aside from increasing weight, jobs that entail more sitting may increase risks of straining back, wrists, eyes, neck and even our lower back portion. Work can be very stressful that can result to depression, heart problems, insufficient stamina, and other health problems. Yale University conducted a study that showed 29% of workers felt “quite a bit or extremely stressed at work.” Another study also revealed that continuous sitting may increase risks for cancer by 60%. To fight the unfavorable effects of 9-to-5 work schedule, health experts recommend simple exercises when you have the time at workplace. Combined with creativity, we will be able to get health benefits while beating the deadlines. Desk push ups are ideal for strengthening arms. 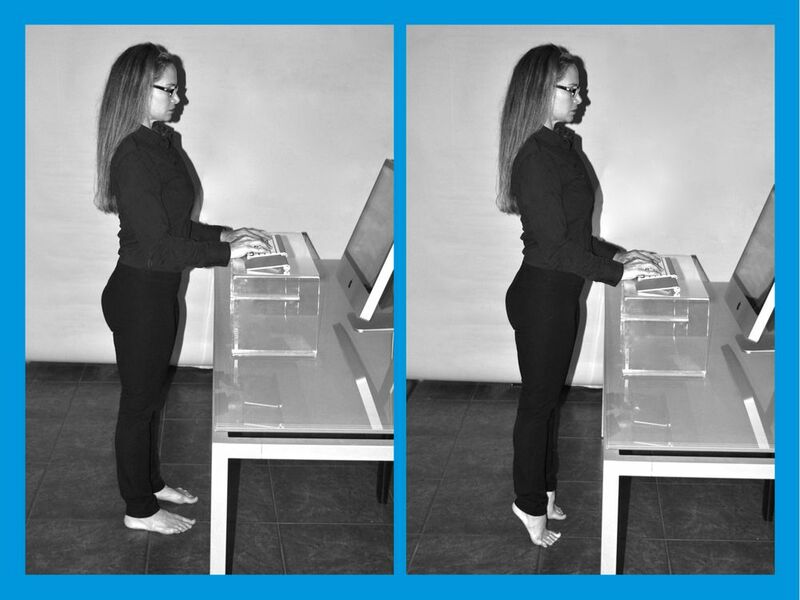 With both hands on your desk, walk your feet to about 45-degree angle. Perform a dozen of pushups. March and lean continuously with elbows bent and fists together in your front. Move your arms back similar to wings and try to touch your shoulder blades together. This office exercise is good for triceps. Get a heavy book and hold it behind your head. Raise your arms up and drop it by your neck. This exercise is similar to hamstring curls, except by lifting your knee up in front while you drop your arms. This needs more concentration and coordination. Place your hands on the edge of your desk with shoulder apart and legs your behind you. Push off with as much pressure as you can. Perform 10 reps for every side. Try for a pace of 100 steps for every minute. Just like that. And you’re a go for the remaining of the day! Office Yoga is ideal to relieve stress. Keep your yoga mat under your desk and then whip it out for a moment of zen. Wall Sits is great for toning your quadriceps. Stand against a black wall and then squat down to 90-degree angle. Slide back and repeat. The exercise is ideal for strengthening calf muscles. Begin with your feet together and rise to raise your calves. Hold the position for 10 seconds. Release and repeat. This exercise is good to tighten your abs when you are on a tight deadline. You can do this while sitting. Straighten your leg and hold the position for 10 seconds. Lower the leg almost to the floor, hold the position and repeat on the other side. Menopause What Is It? Steps to stay healthy during this time.